Think about how much time you’ve wasted in your life trying to find your keys, wallet or mobile phone! For any business, record keeping is not only compulsory; it directly impacts the productivity of your business. Are you starting to drown in business documents and unsure of what to keep and for how long? 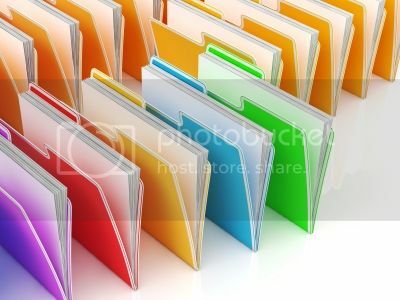 Fear not, read on for some information on how long you should store important business documents and some storage suggestions. Your business is required by law to keep certain financial and employee-related records. The Australian Tax Office (ATO), the Australian Securities Investments Commission (ASIC) and Fair Work Australia (FWA) are three organisations that may require access to your records.Also bear in mind what documents you would need to provide in order to sell your business. If you are not sure about what to store, it is better to keep too many records than not enough and to check with a professional such as your accountant. But remember, that although your accountant may have copies or original documents pertaining to your business, the owner of the records is legally responsible for them. o PAYG for business payments. Financial statements and employment records, keep for seven years. Check with experts for industry specific record requirements such as accreditations. Keep property-related documents indefinitely or for seven years after a property is sold. While many businesses are aiming to become ‘paperless’ to reduce costs and environmental impacts, electronic files are great but for some documents, you will need to be able to produce a paper copy if requested by the Australian Government. Also, ensuring you backup your electronic files is paramount. Talk to an IT expert for more information and guidance on electronic filing and storage. If your filing cabinets are bursting to the brim, perhaps it’s time to invest in a compactus to more efficiently and safely organise and store important business documents. Consult storage and workplace organisation experts like Elbowroom Australia for a range of products to suit your needs. They can also help you redesign your office or workspace to maximise space and storage and to meet WH&S requirements. Providing there is no recourse for legal action, all records can be disposed of once they are no longer required, but this must be done securely. It is best to shred paper copies, particularly documents which are commercial-in-confidence. If you have high volumes of sensitive information, it might be an idea to get in touch with a company who specialise in safe document disposal. For electronic documents, consult your IT professional for the most secure way to delete them and erase data from computer hardware. Don’t let your paperwork and electronic files get on top of your business. By ensuring you have the right systems and procedures, you can reduce lost productivity and breeze through business reporting and tax time. There are a host of companies who can also help you figure out your record keeping requirements and how best to store and dispose of files.